Nothing enhances the flavor of home cooking quite like fresh herbs and spices, especially when you grow them yourself. 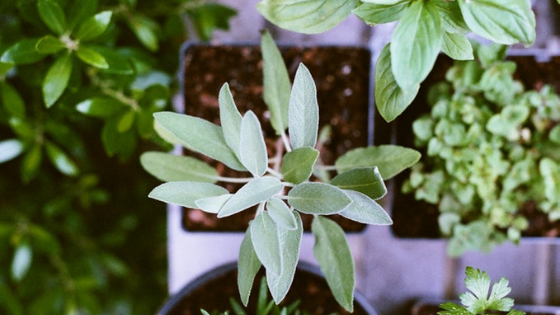 You can create an herb garden right in your Vallejo apartment using the following steps. Begin by deciding what kinds of herbs you’d like to have on hand for your style of cooking. Chives, oregano, parsley, mint, rosemary, thyme and sage are just a few options. You can begin with seedlings (small plants) or seeds. For ideal results, select a location for your herb garden that will allow the plants to receive at least four hours of sunlight per day. A window with southern exposure is best. However, you can also supplement the natural lighting with grow lights if required. Consider how you would like to grow and display your herb garden. You can use an all-in-one format or a separate pot or container for each herb type. (Some herbs do better in their own container than with others, so do some research to find out the best scenario for the herbs you would like to grow.) Ensure there is a way for each container to easily drain excess water. Potting mix contains added fertilizer and minerals that garden soil does not. Select a houseplant potting soil that is moisture retentive but will also drain away excess water. The frequency you’ll need to water depends on the weather and the conditions in your Vallejo apartment. When plants are small, you can use a mister to spray them with water. Add some fertilizer to the soil once a month or so. With a little time and care, you’ll be harvesting fresh herbs right from your Vallejo apartment in no time. Bay Village is the perfect place to enjoy panoramic views of San Francisco Bay right from our well-appointed units. Our gourmet kitchens make it easy to entertain or create home-cooked masterpieces for your family and friends. Contact us today for more information about our Vallejo apartments.